Despite being told by our doctors, family and friends that we should get our vitamins, it’s not until we’re not getting enough that we notice the true impact they make. There is such a wide variety of vitamins available, so it is easy to lose track of what we should be consuming. To help address these concerns, Dr. Roger Clemens of the University of Southern California weighed in on how common vitamin deficiencies are, how they impact us and the health issues associated with vitamin deficiency. Are there different kinds of vitamins? Do they impact us differently? According to Dr. Clemens, food processing technology and food fortification programs help to decrease the vitamin A deficiency to about 30%. He also shared that many people tend to be deficient in vitamin D, the sunshine vitamin. This deficiency leads to a condition called rickets, which is poor bone formation. However, these vitamin A and vitamin D deficiencies in the United States tend to be rare. With respect to water-soluble vitamins, the NHANES survey data suggest significant deficiencies are unusual. So, based on this information, are there any people who are more at risk for certain vitamin deficiencies? 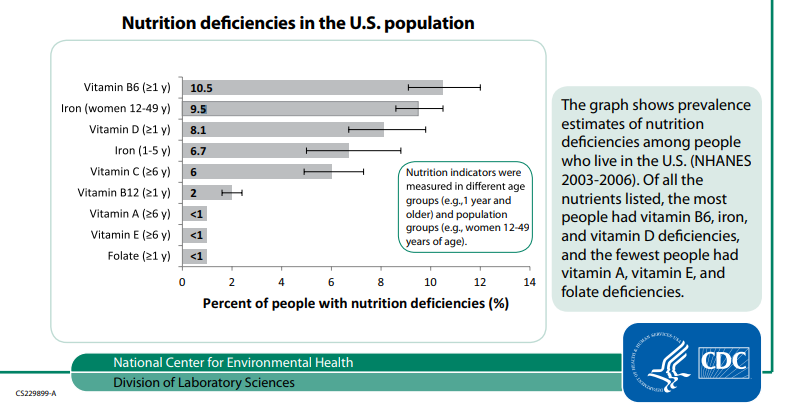 To help explain the commonality of vitamin deficiency, we found this graph from the Center for Disease Control. Are there any foods that I should be eating to help prevent vitamin deficiencies? What are other ways, besides food, to get these vitamins? Are there health issues associated with vitamin deficiency? 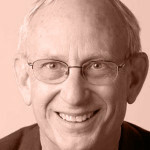 Dr. Clemens: “The number of health-related issues with vitamin deficiency (and even insufficiency) is vast. For example, one of the initial injections administered to newborn infants is a form of vitamin K. Vitamin K is essential for maintaining blood clotting functions. Other health-related issues are noted above. 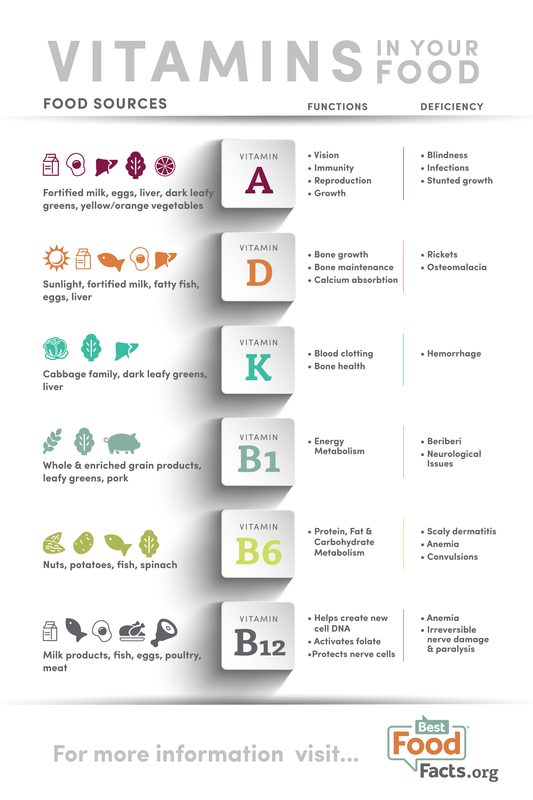 Many organizations have compiled a simple chart of vitamins and their deficiency symptoms. Each vitamin has an important role in keeping our bodies healthy. We are more susceptible to deficiencies at certain stages of life. Eating a diverse, balanced diet helps get all the vitamins you need. Can We Overdose on Fortified Foods?